Past to Present is an association of 2 sellers who started selling photographs online in 1999 mainly on ebay and then on Delcampe and our own website. We sell around 2000 original photographs each year to many happy customers. Our goal is to offer the widest variety of dates, subjects and prices. We are located in the United Kingdom and France. 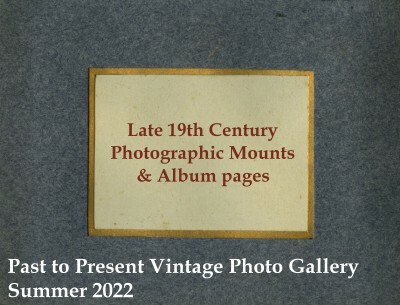 Past to Present offers antique and modern photographs. We pride ourselves on our large selection of cartes de visite, stereoviews and early aviation photographs.